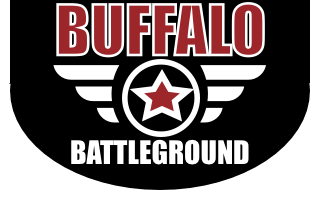 Buffalo Battleground is WNY's premier indoor Airsoft arena. With over 22,000 square feet of playing area, plenty of obstacles and realistic game play. We provide open play nights, parties and private events. Come join us and see what all the hype is about. All participants must complete the waiver before playing. Players under 18 must have the waiver signed by a parent or legal guardian. Click button below to fill out the waiver online. All inclusive airsoft gun rental package - $20, includes unlimited bb's, facemask, gloves, chest protector & barrel sock. We recommend you wear protective clothing. Hoodies, jeans, jackets or loose sweatpants are good. Does it hurt to play airsoft? The short answer is yes it hurst a little when you get hit, but not as bad as some other projectile shooting hobbies. It feels like a light bee sting but it goes away quickly. Can I drink alcohol before I play? No...we do not allow you to play with any alcohol in your system	so please don't pre-game before you come in. Do you check the speed of each airsoft gun? Yes...Each player is checked before they enter the arena. Can i use my own airsoft gun? Yes you can, as long as it meets our FPS requirments. What is your FPS rate? Our max FPS is 350. Anything over this is not allowed. 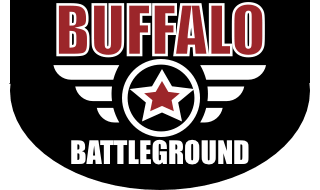 Our admission price is $28 if you have all of your own equipment(Gun, bb's, mask, etc...). However, if you need to rent equipment, there is an additional charge of $17. What comes with the rental equipment? Our main rental package comes with an M4 airsoft rifle, unlimited bb's, mask, gloves and a chest protector. Can I choose a different rental airsoft gun? No we only rent m4's. We require all players to be 10 and above. Do you allow outside food and drinks? We have a full kitchen for food and drinks so we do not allow any outside food. Do you have an airsoft repair shop? No we do not do any airosft repairs. Do you have an online retail store? We don't have an online store but we sell the essentials in our shop. Do you offer discount package for a party or group? Do I need a waiver to play? Yes, we require a waiver before playing. If you are under 18, you must have your parent or legal guardian sign it for you. Our waiver can be found here. Are there any rules I should know before I play?